Setting up a fictitious New York City department as research method to explore potential sensitivities around the 'digitization of public space'. Everyday technology has our cities in its grip – and we add to the flow and data trails with our always-on mobile devices and digital micro interactions. 24 hours a day, our devices, and the networks they run on, help us to navigate city life or interact with one another and our surroundings. Add the proliferation of infrastructural connected solutions like the recent NYC Hotspot Wi-Fi and public space will change in unprecedented ways over the coming years. At the same time, the smart city is still a theoretic construct: Everyday digital reality tends to lack a human-centric touch that would reveal not only the ample potential, but also the potential issues and impacts of such an encompassing 'digitization of public space'. 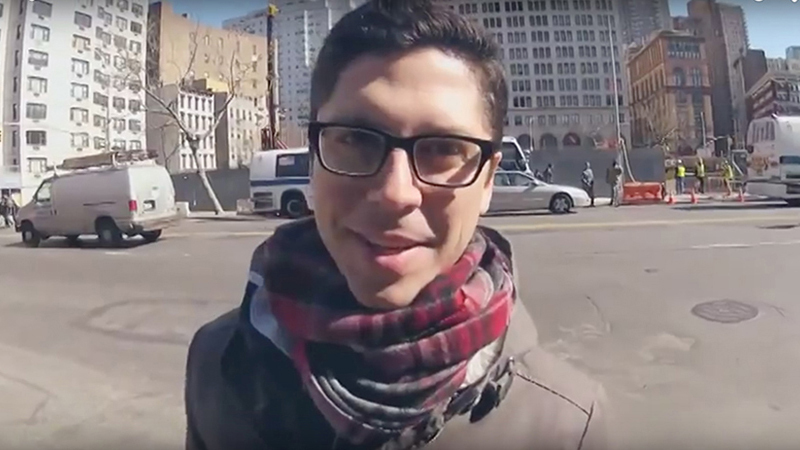 To explore this intersection of public space and digital technology, and its potential impact on the everyday citizen, we need to find new ways to engage the public in more reciprocal discussions and two-way dialogues. 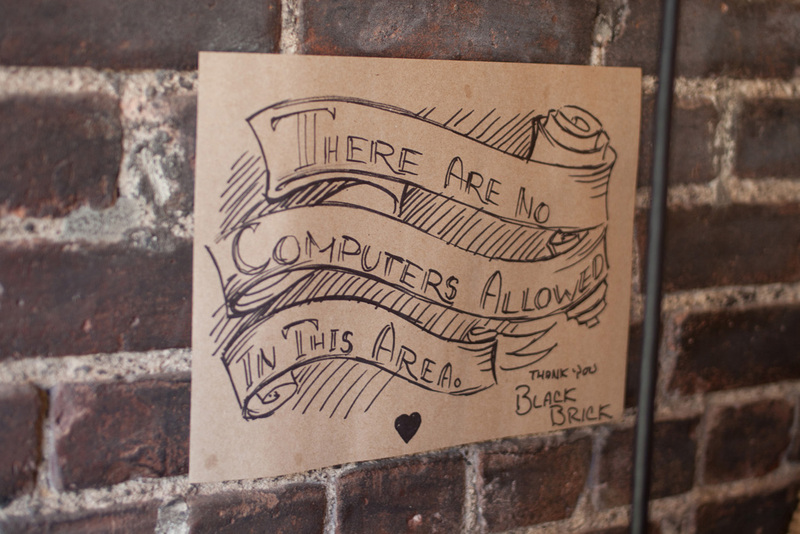 What will be some of the behavioral ‘side effects’ of 24/7 digitization of public space? 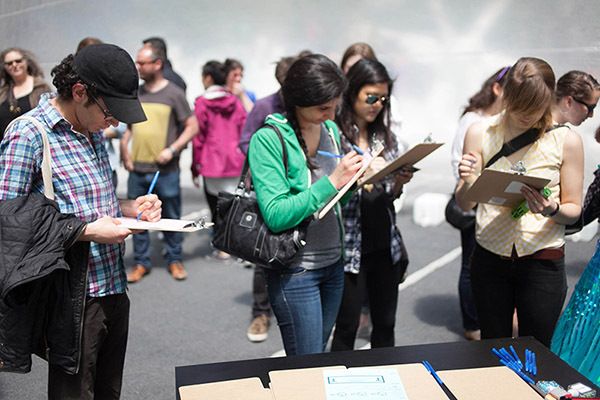 The NYC Foresight project investigates questions around ubiquitous connectivity, privacy and anonymity in public space by using the format of a fictitious city department with the mandate to explore the future impacts of digital technology in public space. By having this credibility of a ‘real’ NYC department it facilitates new types of conversations that engage citizens in a more direct and reciprocal dialogue around potential sensitivities that may arise with the digitization of our cities. By showcasing a range of parallel urban futures – developed together with the citizens of New York - NYC Foresight aims to establish a long needed, reflective, and most of all resident-centered point of view to enrich the ongoing discussion on smart city development. 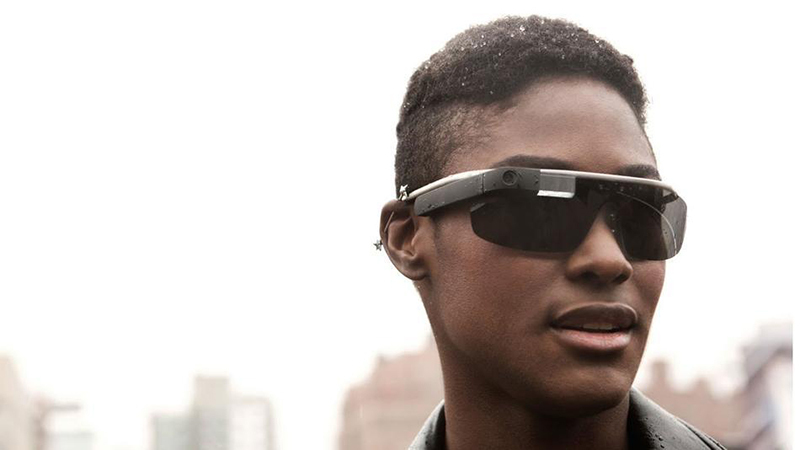 Current smart city visions tend to focus either on top-down, abstract perspectives or on single-view explorations (i. e. Google Glass) that revolve around a progressive protagonist navigating a world that still needs to catch up with this disruptive technology. By picking these idealized perspectives, such scenarios remove the messy realities of our everyday routines from the equation, including their unexpected interactions and side-effects once a technology becomes truly ubiquitous in public space. Intermediate, “make-shift” solutions to this issue, as explored in the "Messy Realities" project, reveal the importance of reflecting on the impending digital proliferation in public space and its effects on noise pollution, potential privacy issues, and public digital exposure. NYC Foresight explores how everyday citizens deal with the digital ‘side effects’ of technology: What kind of concerns, fears, or anxieties are associated with our future digital lives? 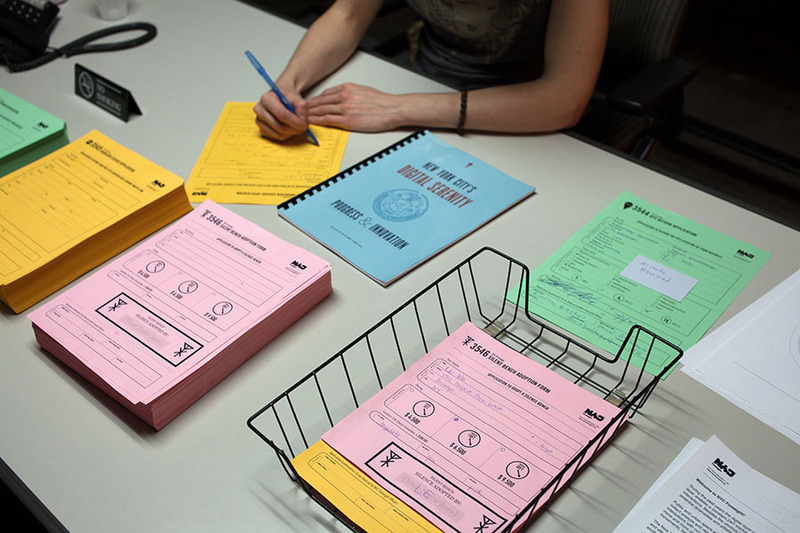 By setting up a fictitious city department, “NYC Foresight” uses design fiction as a research and design tool. The aim: to investigate the responsibility of today’s cities to not only connect their citizens, but also explore the future social and cultural repercussions of such a hyper-connected digital layer. To this end, NYC Foresight reappropriates the city's current 'official' language to engage in dialogue with New York City residents. 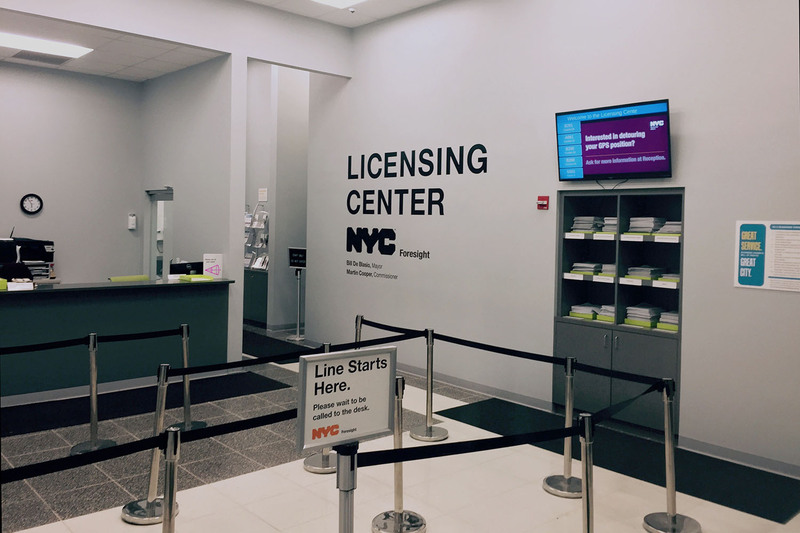 It utilizes the visual language of existing NYC departments to establish the ‘credibility’ of an official NYC department – replete with office, redesigned forms, props, and the mandate to explore the impacts of the digitization of public space on our everyday routines. 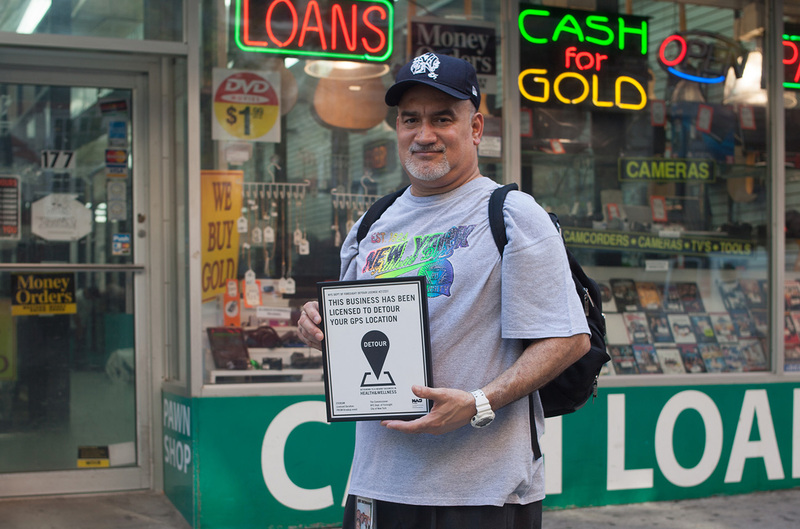 Under the aegis of the ‘official’ department, the project ran a range of workshops in different NYC neighborhoods to explore citizens’ fears, anxieties, and superstitions related to non-stop connectivity and the perfect data trail. These workshops and sessions were designed to uncover potential sensitivities of the everyday citizen related to the digitization of public space and to kickstart discussions by highlighting these very human emotional anxieties and perspectives. Together with local citizens, the project developed a range of prototypes and props to manifest and translate the research into tangible scenarios that can serve as thought provocations and discussion starters. From ‘Silent Benches’ for the last remaining pockets of solitude and reflection to 'Detour Licenses' and 'Proximity Signal Jammers', NYC Foresight showcases potential future ramifications and impacts of an all-encompassing digitization of public space. The ‘Adopt-A-Silent-Bench’ program encourages ‘silence philanthropy’ by establishing new regulated urban spaces dedicated to solitude and reflection. 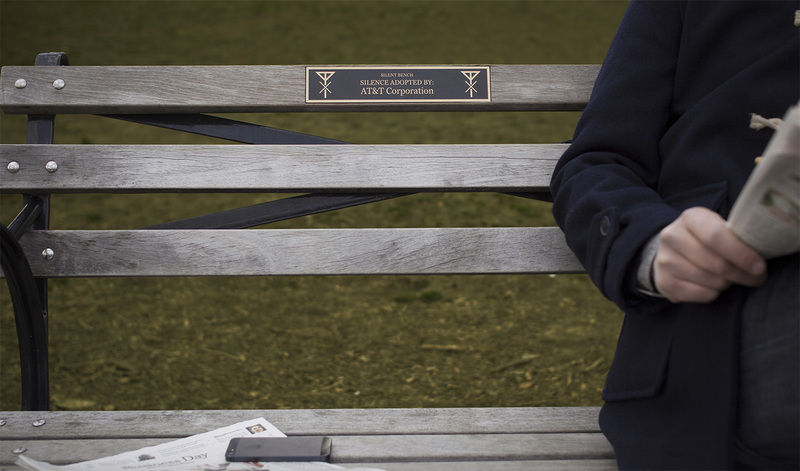 Philanthropists can donate silence by sponsoring a cell phone signal blocking bench that disables cell phone connectivity in the immediate vicinity. The GPS detour program caters to our small vices and mishaps by generating regulated spaces of dislocation. 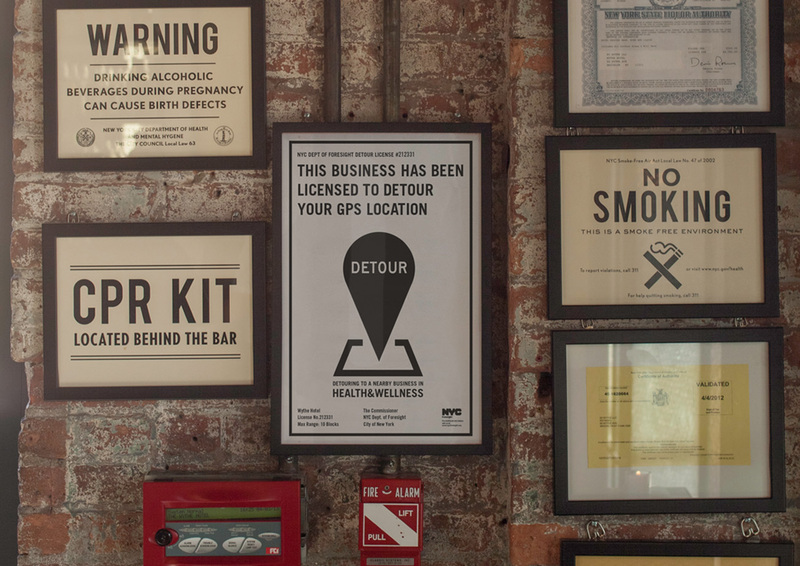 The licensing program gives approved businesses and licensees the ability to shift – or ‘detour’ – their premises’ GPS signal to a near-by location. 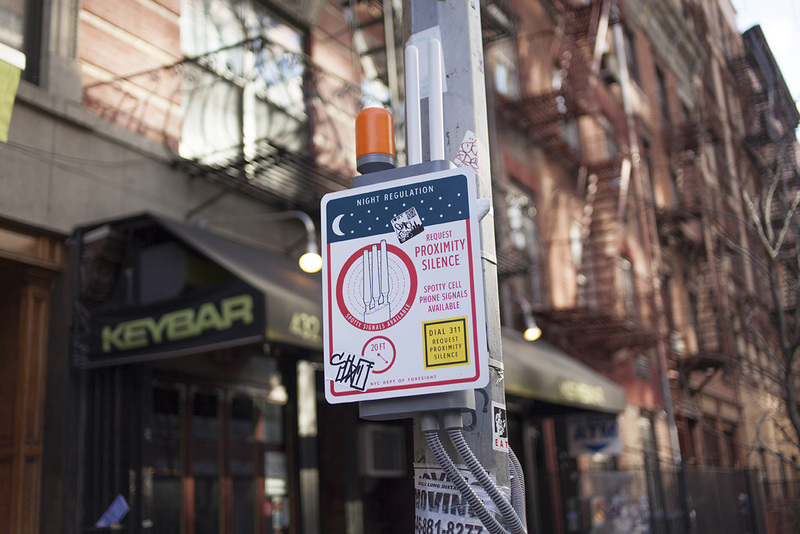 NYC Foresight’s proximity jammers encourage quiet nights in designated streets and areas, available through a 311 call. Proximity Silence Jammers generate spotty signals within a radius of 300 ft to intercept and interrupt cell phone connections and calls. 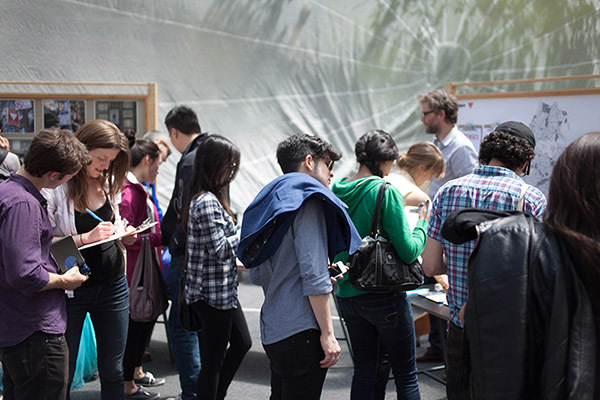 By exploring the intersection between digital advancements and public space, these props and prototypes highlight the potential needs and wants of everyday citizens and provide tangible examples of future lives in the connected city. NYC Foresight provides thought provocations to start new discussions around our future lives in the smart city. Taking into account the sensitivities of the residents, the developed props explore future scenarios set in a hyper-connected digital public space.